I bought several of these for housewarming gifts. And everyone loved them - much better than a bunch of flowers or candy. Kept one for myself! i bought the black set and they are so gorgeous. Whether they are used for a fancy dinner party or just on an ordinary evening . 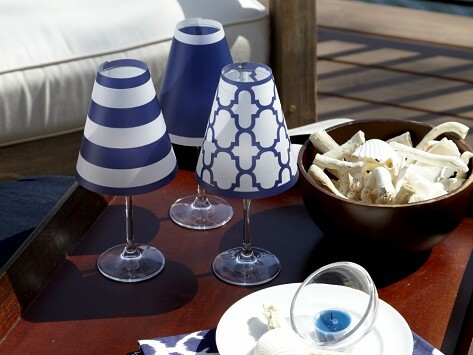 These little shades are a perfect hostess gift to give with some little battery operated tea lights. They are reusable and come in lots of attractive colors. I have ordered several colors and will order more. I've ordered several of these sets & just love the colors. It's so easy to pack or mail . The shades arrive in a flat folder and are easily opened to form the shape. 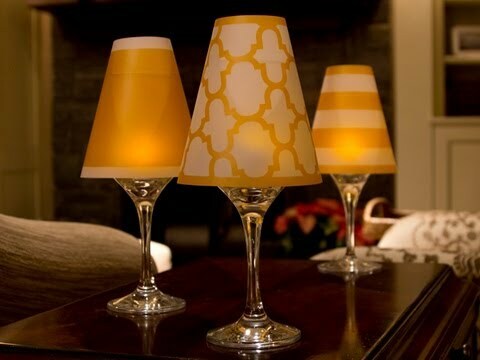 Use with a battery operated votive light, dropped into a long stemmed flute or wine glass... whimsical or classy as your decorating taste dictates. Enjoy!